We love ice cream pops but sometimes we want to treat ourselves to something a little different but still just as cool and tasty for summer time. 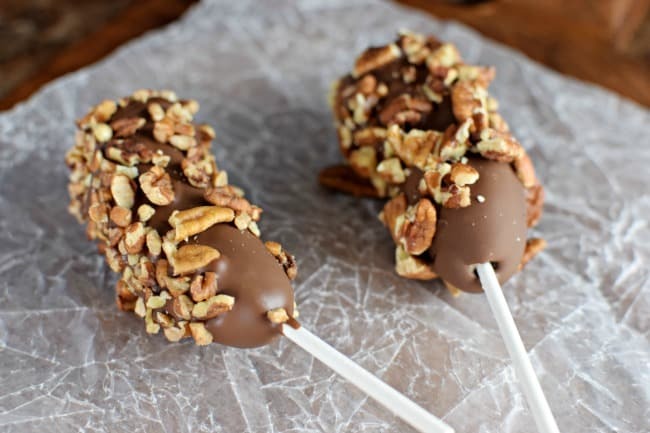 Today I am sharing with you how we create our chocolate covered frozen bananas. 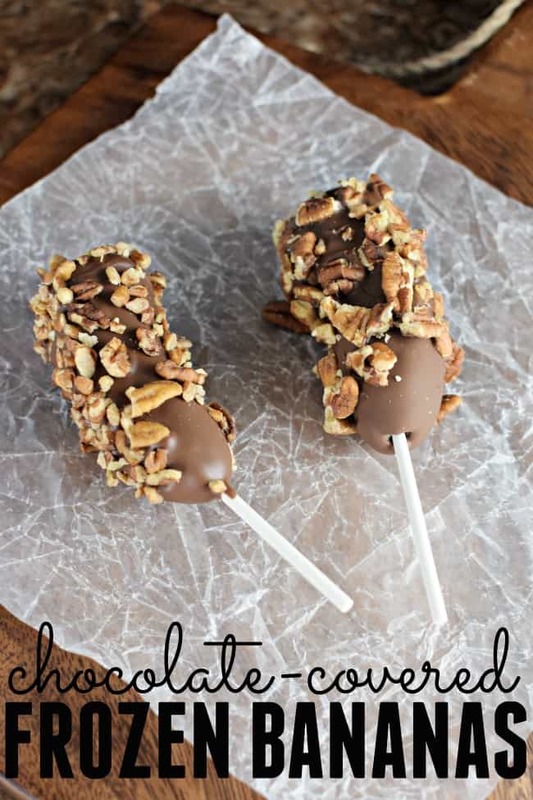 They are super simple to make and you will be enjoying them in no time. Attach your bananas onto your sticks. We used lollipop sticks but you could also use popsicle sticks or small skewers. We also cut our bananas in half. Freeze your bananas for a few hours. They don’t have to be fully frozen but just firm. Right before you are getting ready to remove the bananas from the freezer melt your chocolate. Set aside your topping on a plate so that you can roll your bananas once dipped. 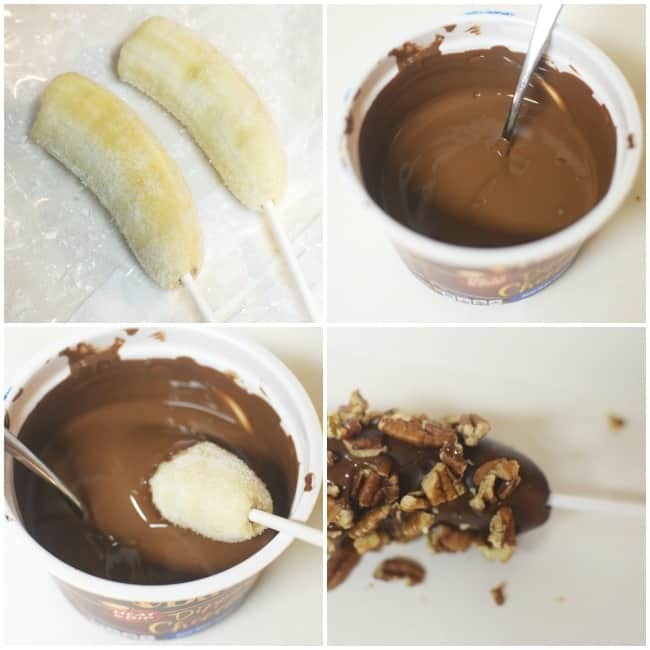 Dip your bananas in the chocolate and then roll them in your favorite topping. Set aside for a few minutes until the chocolate hardens. Enjoy your Chocolate Covered Frozen Bananas!! Freeze your bananas for a few hours. They don't have to be fully frozen but just firm. Set aside for a few seconds until the chocolate hardens. Spring Break Ideas for Families: 20 Places to go and things to do! 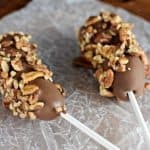 Best Fall Desserts – Our favorites you have got to try! How to make homemade fair food recipes! Mmmm! I love this idea. I really wamt to try it with mini M&Ms!